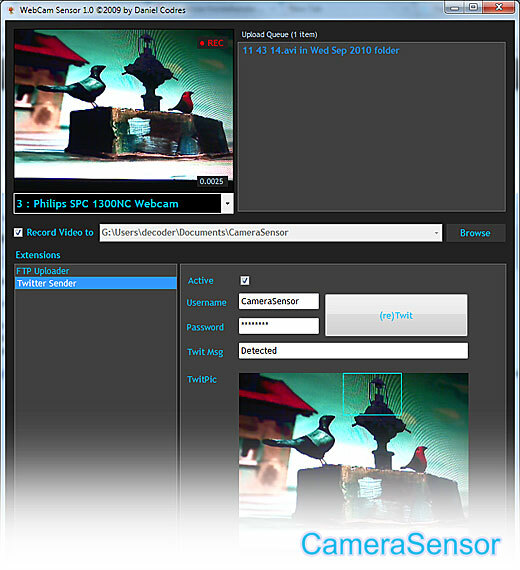 Camera Sensor detects any motion on your web cam and takes an action. It works on Windows7 and Windows Vista. On Windows XP you may need to install .NET. You can download the installer from here but since is password protected you may get the password from me if you are willing testing it and giving me some feedback.